Not just anyone can pick up an Otis Redding hit and make it his own, but Don’s managed to do just that – and not just once, but a few times over. His latest CD is guaranteed to take you back, with covers of bluesy favorites, such as “You Don’t Miss Your Water,” “My Lover’s Prayer,” “Dreams to Remember,” and many more. 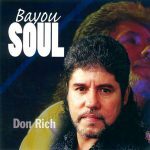 Not to be left out are three originals by Don, including a sorrowful tribute to his mother Ella, whom he lost, titled “Hey Mom.” This CD is destined to become a classic & I’m sure you’ll agree, it’s not just Soul, it’s Bayou Soul! 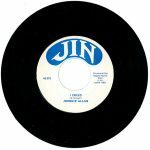 Released in 2005, 14 tracks.